CHESTER — “It Happened to Jane” never won an Academy Award or a Golden Globe, but as far as Chester folks are concerned, it’s definitely an award winner. 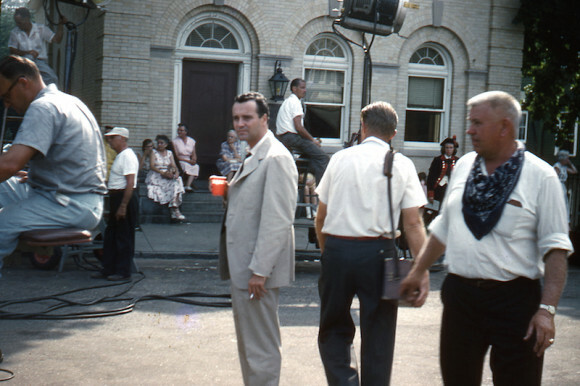 After all, the movie, which starred Doris Day and Jack Lemmon, was made right in the heart of Chester in the summer of ‘58 – in the Chester Meeting House and the Center and on Jennings Pond and by the railroad – and hundreds of Chester folks were movie extras. So whether you were there in 1958 or came to town later, the movie has every right to be a local treasure. On Sunday afternoon, Jan. 31, the Chester Historical Society is offering you two opportunities to immerse yourself in “Jane” memories. You’ll hear how Carmine Grote’s Appliance Store (now Compass Rose and Red Pepper) became Aaron Caldwell’s Fine Foods & Notions store for the movie. Bill Breslin’s package store (in The Villager building) was turned into a marine supply store. 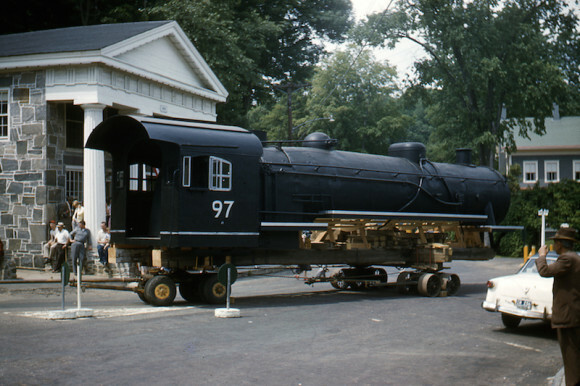 A wooden locomotive was built and moved into the parking lot now used by Chester Package Store, and parking meters were added to town. Jack Lemmon’s law office was above the old Robbie’s store and the Cape Anne, Maine, Telephone Exchange was above today’s Century 21 real estate office. At 4 p.m., at the Chester Meeting House (used as the Cape Anne Town Hall in the movie), the Chester Historical Society is presenting one of its popular “crackerbarrel discussions,” with folks sharing their “Jane” memories. We’ll also view some of the Chester scenes from the movie. The walk and the crackerbarrel program are free and open to all. Walkers should meet at the Century 21 Heritage office before 2:30 p.m. Parking is available at the 20 Water St. public parking lot and the Norma Terris Theatre on North Main St.
Refreshments will be served during the movie. For more information, call 860-526-2331 or 860-558-4701 or go to Facebook.com/ChesterCTHistoricalSociety.